Alien invasive insects such as gypsy moth, hemlock woolly adelgid, and emerald ash borer continue to disturb the mixed deciduous and hemlock forests of eastern North America by causing wide-scale defoliation, decline and/or mortality of their hosts. Some of the most devastating species are spreading in “defense free space”, causing extensive mortality of hosts that are inherently susceptible, perhaps due to their lack of coevolutionary history with the invader. These disturbances have altered the dynamics of canopy gaps, coarse woody debris, biogeochemical cycling, and ecological interactions among organisms in terrestrial and aquatic systems, with consequent effects on forest composition, structure, and function. 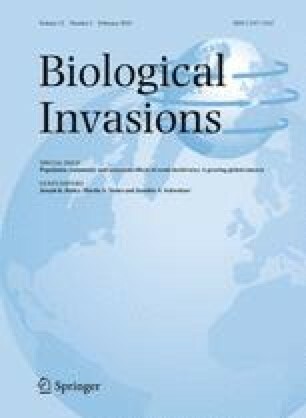 Populations of indigenous species specialized to particular habitats and/or host trees are most likely to decrease, while some generalist and opportunistic species may increase in invaded forests, including exotic plants as their facilitation by alien insects sparks an “invasional meltdown”. Although poorly documented, alien insects may induce positive feedback effects on ecological processes and interactions. For example, effects of herbivory on foliar chemistry may indirectly alter tri-trophic interactions of indigenous herbivores on their shared hosts, slow rates of terrestrial nutrient cycling, and decrease productivity of aquatic habitats based on allochthonous inputs. Tactics used to eradicate or suppress alien insects in forests such as insecticide applications, biological control, and silvicultural prescriptions can also have ecological impacts. As alien insects continue to establish and spread in forests of eastern North America, their already pervasive effects on ecological interactions and ecosystem processes will continue to magnify. We thank Catherine P. Herms (The Ohio State University) and two anonymous reviewers for their helpful comments on earlier drafts of this manuscript, and Lee A. Odgen (The University of Georgia) for formatting the manuscript. Financial support was provided by the USDA Forest Service, Northern Research Station, Morgantown, West Virginia, and Delaware, Ohio, and by state and federal funds appropriated to the Daniel B. Warnell School of Forestry and Natural Resources, The University of Georgia, Athens, and to the Ohio Agricultural Research and Development Center, The Ohio State University, Wooster.